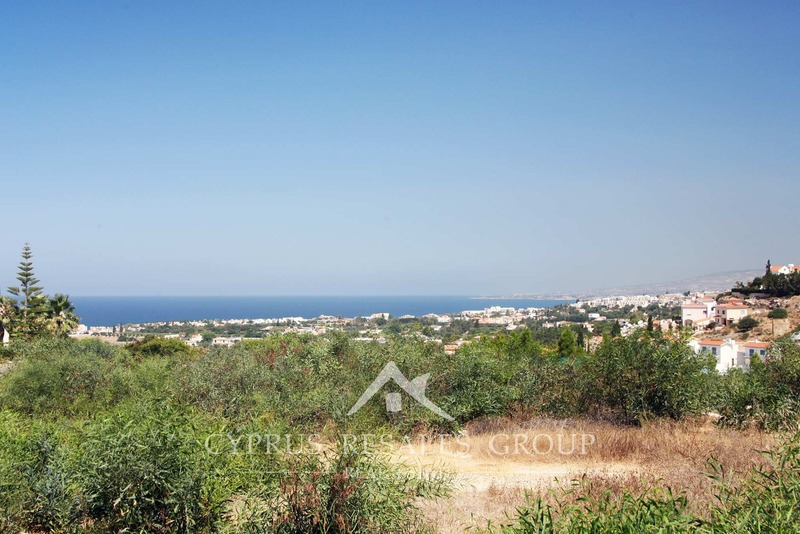 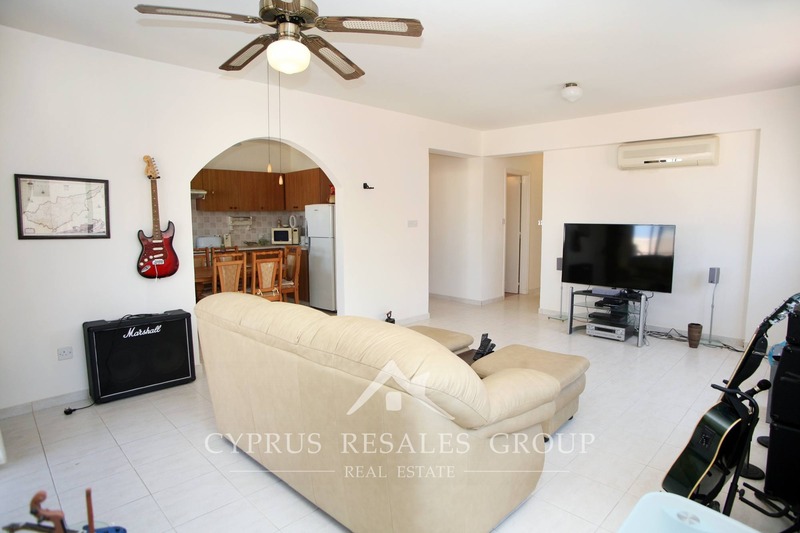 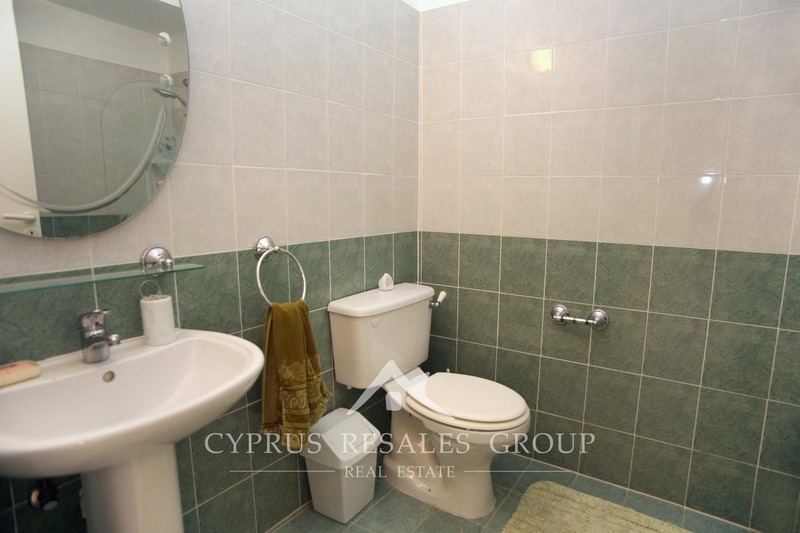 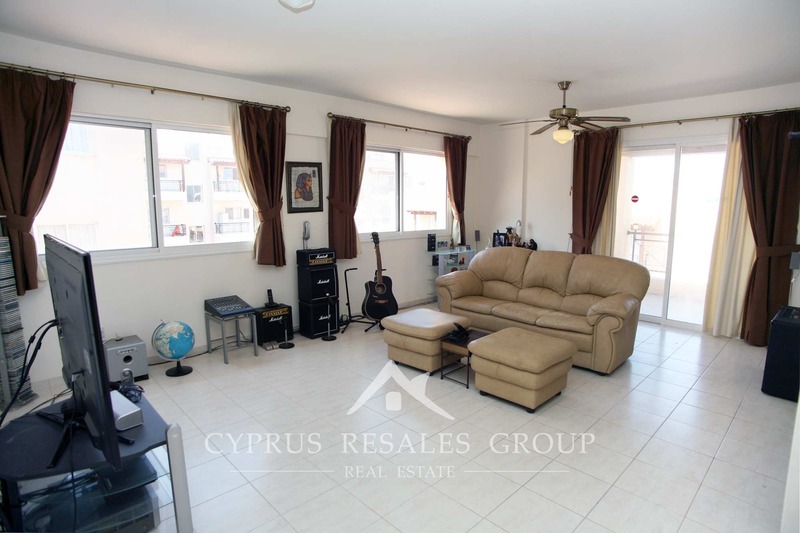 3 Bedroom deeded apartment in Aristo Developers Melania Gardens Chloraka, Paphos, Cyprus for sale. 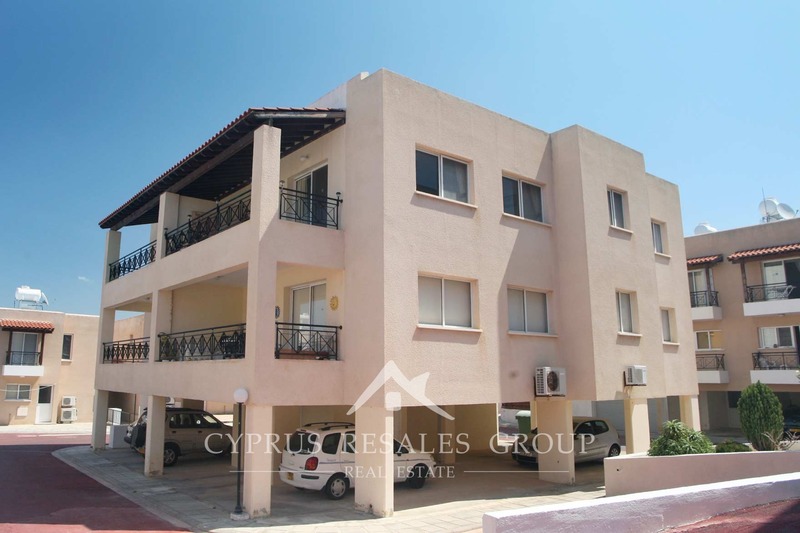 Absolute bargain 3 bedroom penthouse (2nd floor, no lift) in the popular residential project of Aristo Melania Gardens. 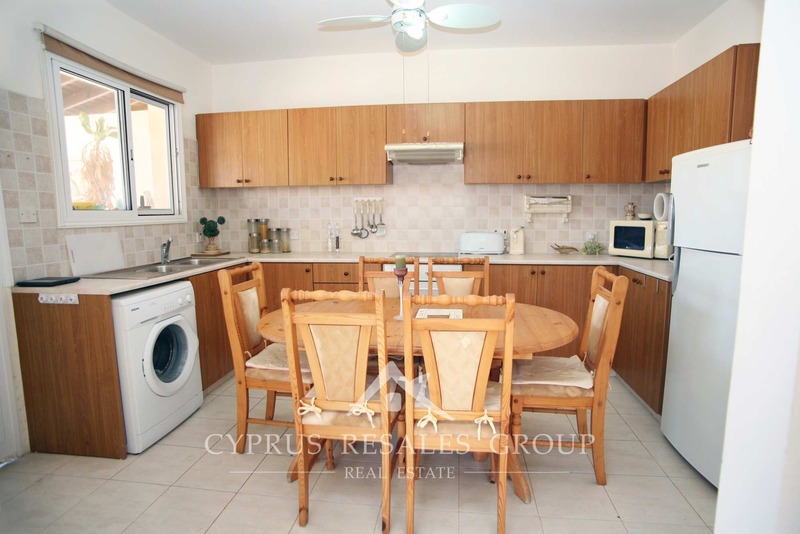 Nested on the Melania plateau this apartment comes complete with sea views and allocated parking. 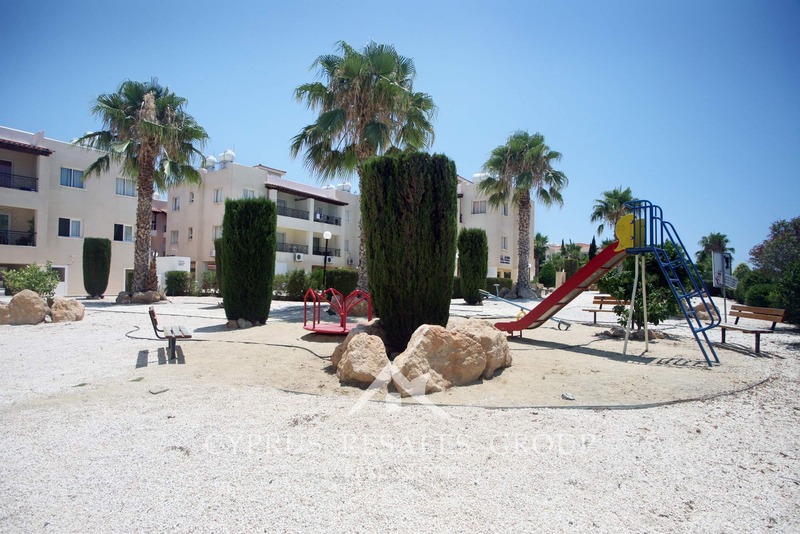 Melania Gardens offers a large central pool surrounded by lush palm gardens with numerous benches to sit and relax and an excellent play area to keep the children occupied. 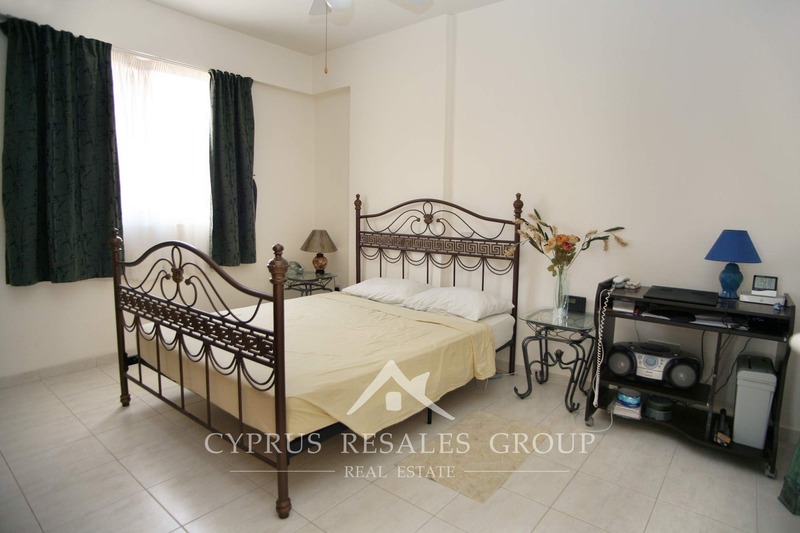 All important facilities including shops and bus service are all within easy walking distance. 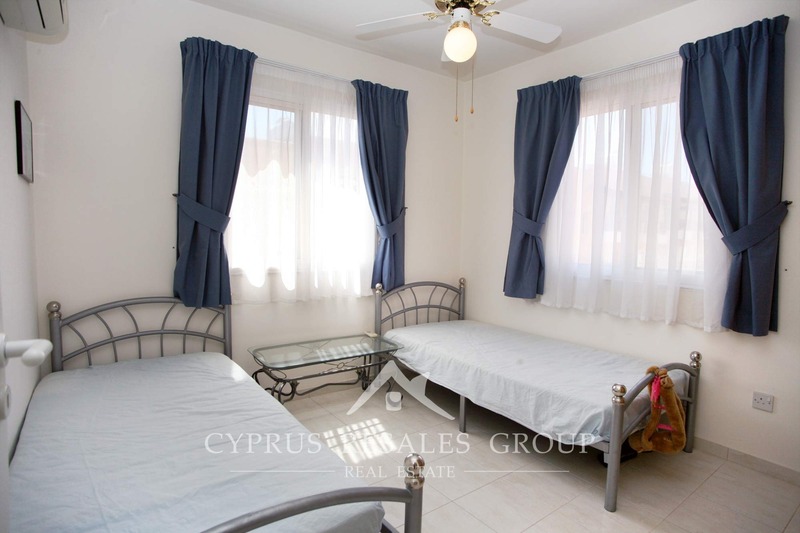 Apartment welcomes you with a small yet practical hall. 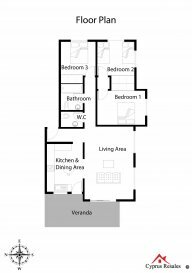 A generously sized living area and adjacent fully fitted kitchen both benefit access to the covered verandah through independent doors. 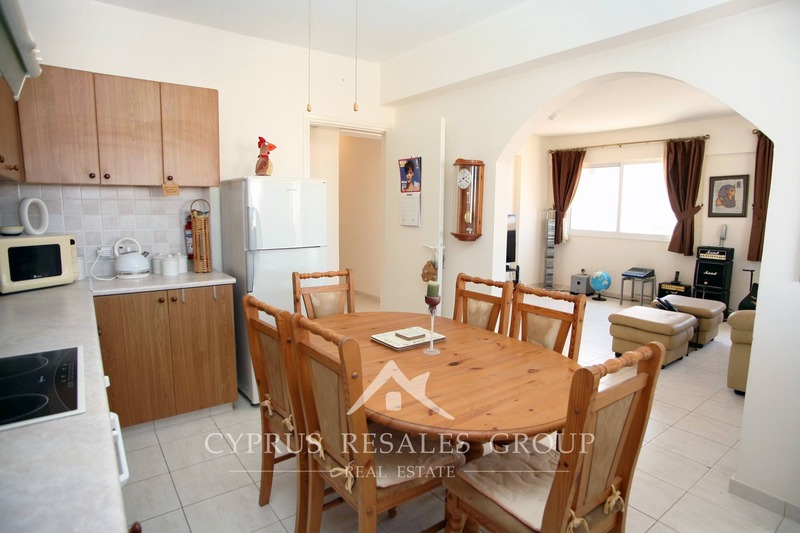 This covered verandah beautifully enhances the living space of the flat allowing you to enjoy the great climate of Cyprus all year round. 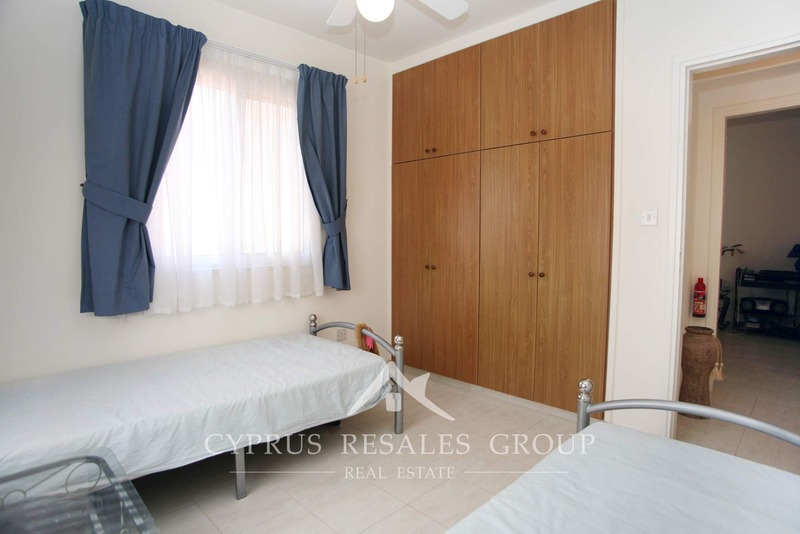 A central corridor connects three double bedrooms (all with integrated wardrobes), a full size family bathroom and an additional WC. 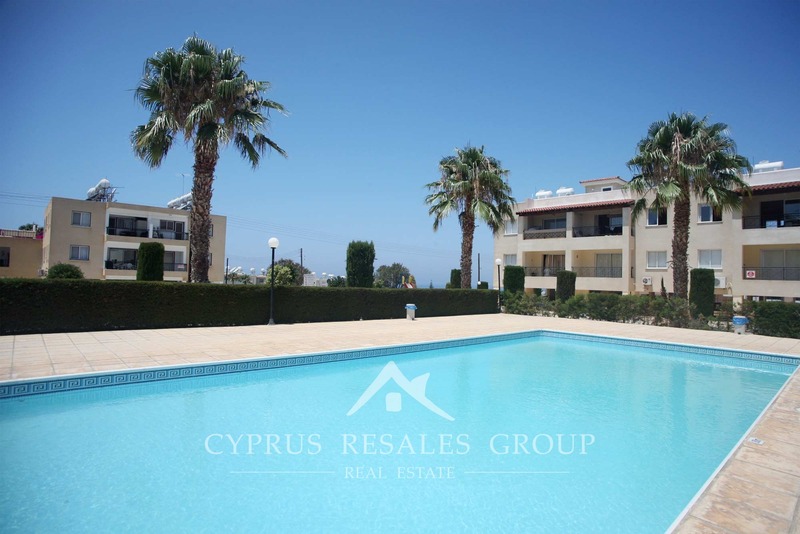 FULL READY TITLE DEEDS and low common expenses of approximately 600 Euro per year make this flat a compelling purchase as both a buy-to-let, a holiday home or a centrally located base for permanent residence. 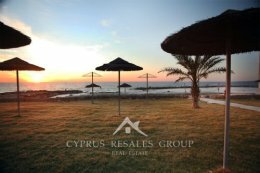 Book your viewing with us today.